To some, a heated lotion dispenser is a luxury item. However, once you experience the soothing warmth of electrically heated lotion making contact with your skin on a cold winter's day, you might find that the skincare device is hard to live without. During the winter months, many people use lotion to alleviate dry, cracked skin. However, no one enjoys spreading ice cold lotion on her skin after exiting a hot shower, hence the invention of the heated lotion dispenser. The skincare device, which was once reserved for upscale spas, is now available in retail stores, such as Target and Walmart. These days you no longer have to spend hundreds of dollars to be pampered by warm lotion at an expensive resort. Instead, you can bring the spa experience home by purchasing a dispenser that heats hand and body lotion to the perfect temperature. The portable device is designed to fit on counter tops in your bathroom or kitchen. You can also place the discreet lotion dispenser on your desk without compromising your home or office's décor. Conair is the leader in the warm lotion dispenser industry. The company offers two versions of the device, but the HLD20P model is its most popular. 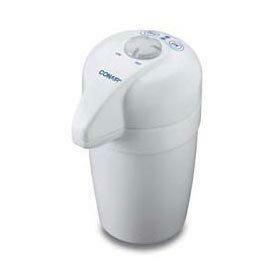 In addition, Conair's hot lotion dispenser includes a removable reservoir that is dishwasher safe. While the device is not appropriate for oils, the dispenser works with a variety of hand and body lotions. Warm lotion gives your skin a softer, silkier feel. Thanks to heated lotion dispensers, you can experience this luxury in your own home without spending a ton of money. Heated dispensers improve the soothing power of lotion by warming it up, and having one in your home can make for great massages. However, there are some drawbacks associated with the compact device, the main one being that it is decadent. The price of commercial lotion warming devices is about $50, but that doesn't include the cost of electricity to keep it functioning. In addition, in order to keep an entire container of lotion from drying out, most dispensers heat small amounts of skincare products at one time. This means you are able to pump out a single portion of lotion, but have to wait a bit for the next squirt to heat up.